Dropped WiFi signals, wireless dead zones and interrupted streaming—experiencing these problems is frustrating, sometimes even maddening. Our daily requirement to get online has become almost as important as eating. Not quite, but almost. 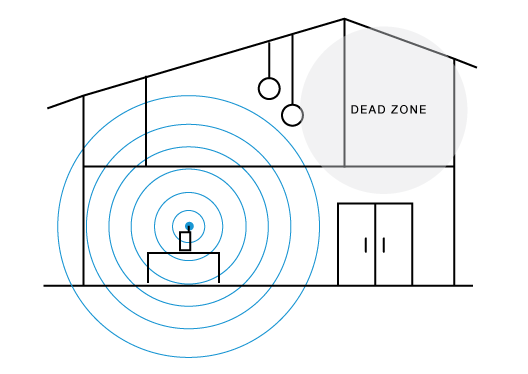 Of the many culprits that can impact our home WiFi performance, distance is the most obvious problem—there is a certain optimal range that the wireless signal can travel. 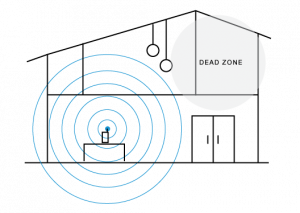 If the network must cover an area larger than the router is capable of transmitting to, or if there are lots of corners to go around and walls to penetrate, performance will take a hit. Sometimes the culprit might be an appliance or electronic device that is producing too much signal interference. The other cause for poor WiFi could be your home’s layout—or even its building materials. When a home is built using a lot of concrete and metal in the walls and the floors, a wireless network is not going to work very well. Regardless of the cause, the quickest and easiest fix might be a simply to move the router. Understanding where and how to place your WiFi router is key to achieving the best performance possible for your home network.